Beth and Aaron’s wedding ceremony took place in the beautiful Virginia countryside. They planned their wedding to reflect their personality and took advantage of the rustic feel of their location. 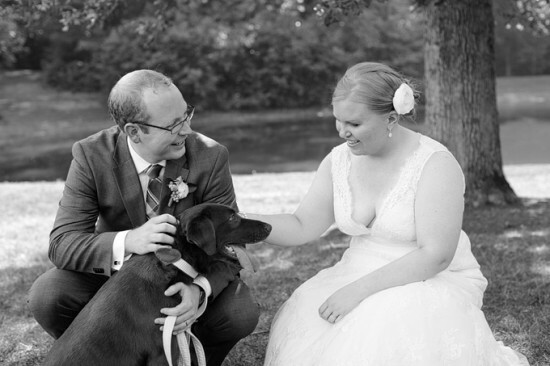 Their wedding was laid back and comfortable, so of course, what better element to include than their dog, Maddie! We love that this couple included her in beautiful shots their wedding day. Read more about this couple’s wedding here!